October brought some really cool games for people that love action and arcade games, making gaming in November very interesting. 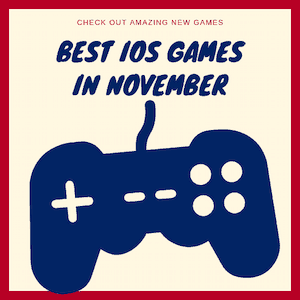 Basically if you have an iOS device, there are tons of cool titles that you can play right now, and many of them are extremely fun and exciting. It’s always a good time to have such games ready to play, and with that in mind here you have some of the nicest ones out there. 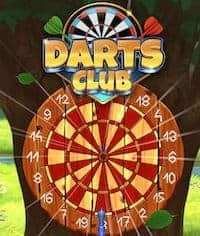 Darts Club is an interesting game, and the best part about it is that you can test and also improve your darts gameplay and skill as you play here. You can collect new pieces, boost your skills as well as upgrade your darts (using a US iTunes gift card), all in a very good package. The real time multiplayer is intense, because you can enter some cool darts matches with other people if you want. They also added great venues too, so you can play in a variety of locations. You can challenge other people and as you defeat them you level up. All the details count here, and you will be quite amazed with the way everything pays off in the end. That being said, you also have customization options. You can customize darts, but you can also customize some of the other stuff in the game too. Yet the most important thing remains your skill. No matter how much you play, your skill needs to improve because otherwise you can deal with issues and you certainly want to avoid all of that. The Darts Club gameplay is very intense, and you really have to test your skills as you aim for the perfect shot. It won’t work all the time, and that’s the thing that makes Darts Club so good in the first place. It’s a very intense, exciting and also demanding game. All of these are great ingredients when it comes to offering a great darts experience to players. Escape Legacy 3D – Adventure is a very good adventure game where you control an archaeologist named Erica. The idea here is that you need to figure out what your grandfather left as a legacy and reveal the secrets of ancient scrolls. But doing that is going to be very tricky, because sooner rather than later you will have to solve massive puzzles, escape rooms and also compete with other players. There are leaderboards for every level in the game, so you really have to be as fast as possible as you figure out exactly what to do in order to win. The music is great here and the puzzles vary in difficulty. Some of them are super hard to complete, of course. The game also has a unique scoring system that will let you know how well you did, if there were problems and all other stuff like that. All these little things matter and they really go to show just how interesting the game can really be. The graphics in this game are very good and you will certainly be immersed into the game world created by the developers, you can rest assured of it. 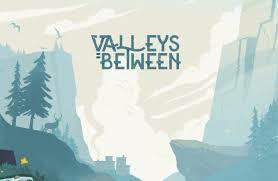 Valleys Between is a game focused on protecting the environment. And you can see that right off the bat. The game does a very good job at showcasing the importance of nature in our planet. You need to take care of animals, protect your world against fires and so on. Nurturing everything is going to be very tricky, but it does go to show just how demanding and challenging the game can actually be. It’s always going to be a great experience in this game because it’s something peaceful and fun that you can play whenever you want. The game is also going to be challenging at times. But maybe the best thing about it is that it’s peaceful and very easy to get into. Since many games are all about violence and so on, it’s nice to have something focused on the easy going things in life. That’s why Valleys Between is maybe one of the better games that you can play in order to relax and just have fun for a change. It’s really easy to get into and enjoy too, which is a plus. 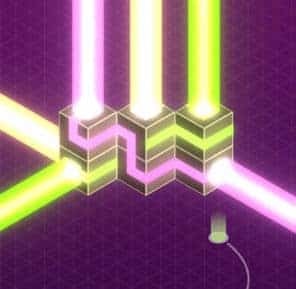 Optica requires you to connect two glowing squares drawn on cubes. It seems very easy, but it actually ends up being super difficult. Not only that, but there are tons of challenges involved, because you get multiple square colors to deal with. You will also be able to rotate puzzles at one point, and that will bring in new cube sides and other similar stuff. Even if it seems that the game is getting better and bigger, it also ends up more complicated. Despite the minimalist graphics, Optica can be very difficult. But then again that’s why we added it in our list, because it takes a very simple concept and it makes it fun. Sure, you might have a hard time with it, but that’s the idea to begin with. You really have to push the boundaries as you figure out the right options and focus on the things ahead. Even if levels can be very devious at one point, you do have the trial and error approach. That makes the game better, because you can easily test your ideas and see if they work. And yes, you will do that a lot when you play Optica. These games are very fun and each one of them is unique in its own right. If you love iOS games in general, you will find these to be very exciting, compelling and distinct. These titles have action, but they also bring in a sense of adventure and fun every time you play. Sure, it can get very challenging to play them at times, but then again that’s part of the fun. So yes, they are well worth a shot and you should consider playing them as soon as you can! This entry was posted in iOS, iPad, iPhone, iTunes Gift Cards and tagged apple games, ios games, itunes games, mobile games, us itunes account.